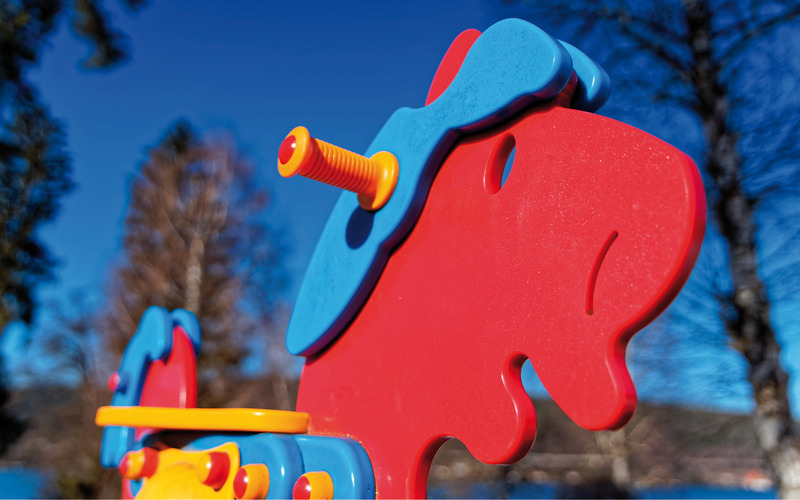 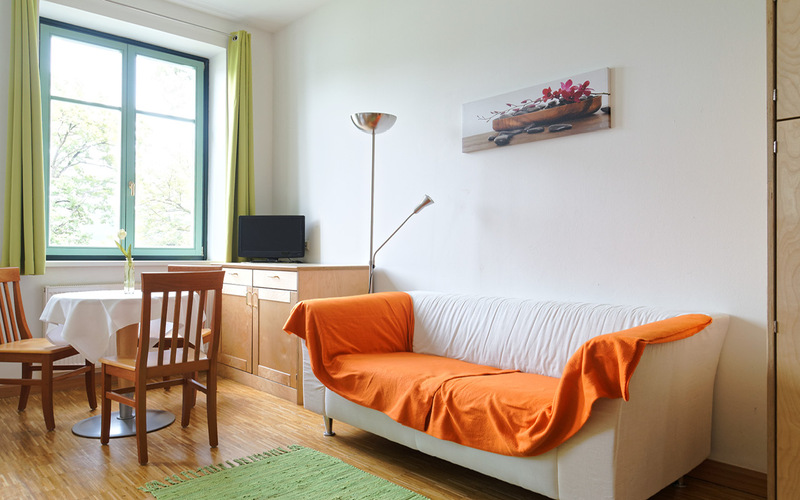 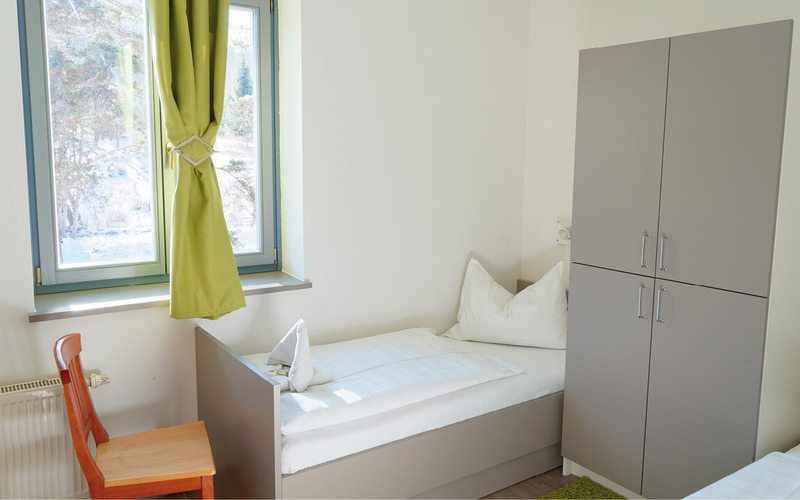 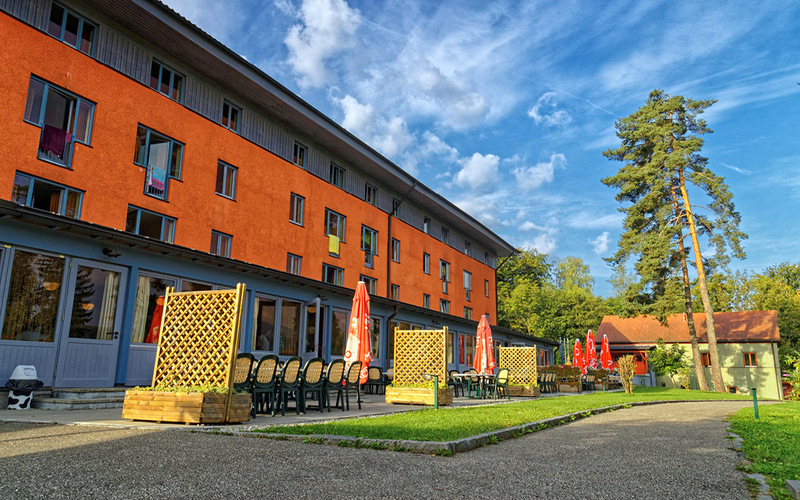 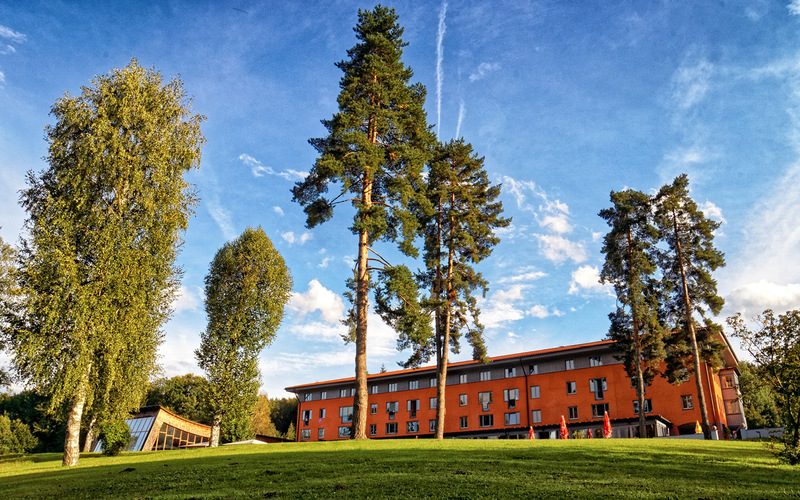 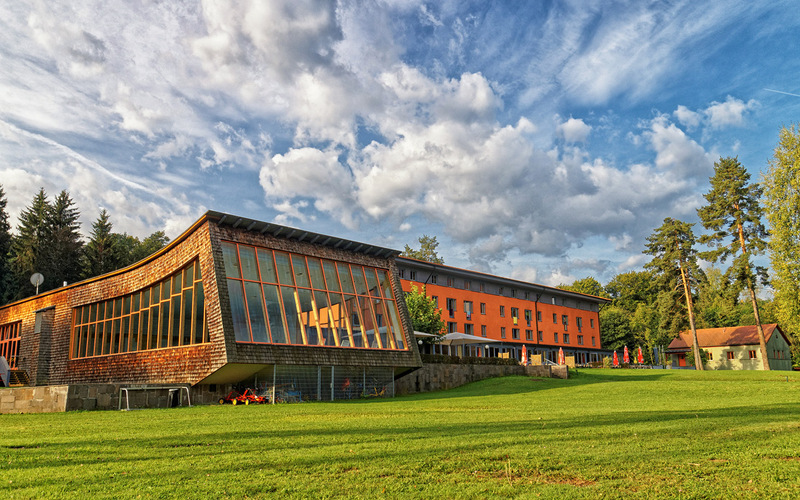 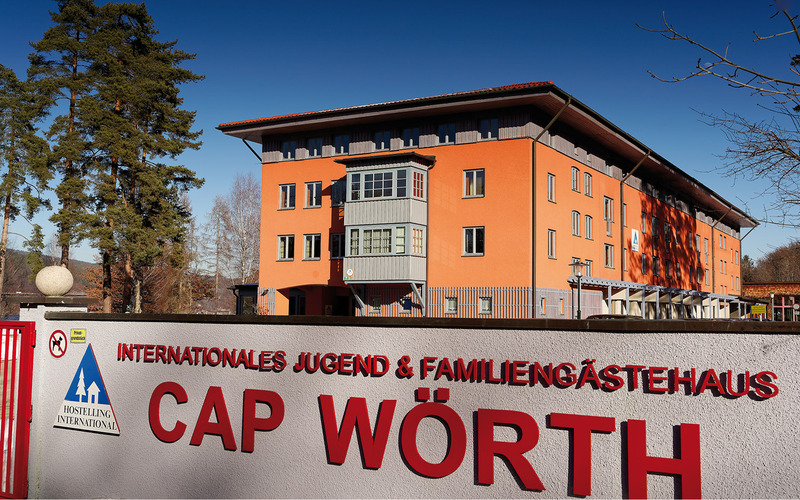 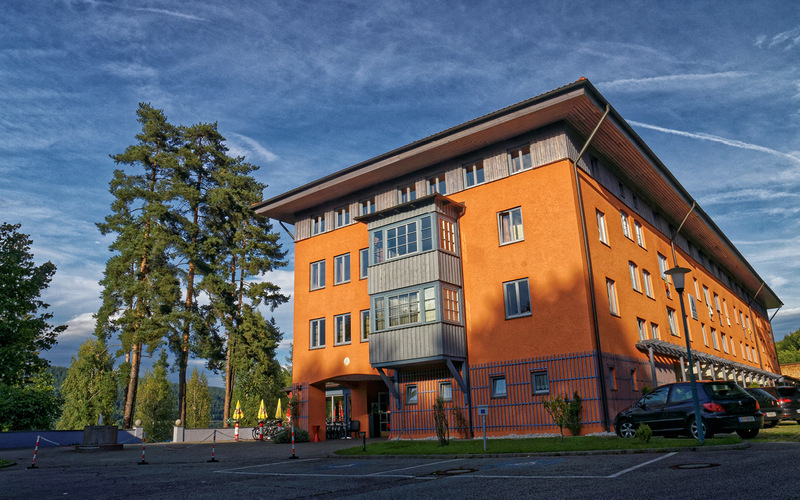 Welcome to the Youth and Family Hostel Cap Wörth! 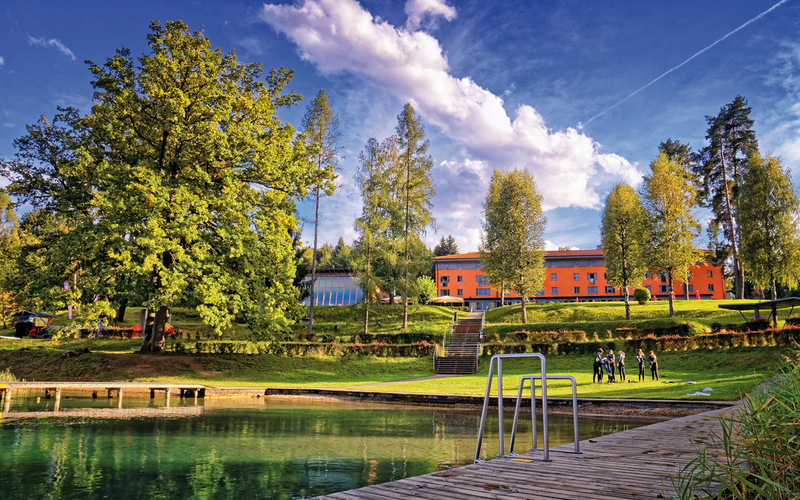 Our youth and family hostel Cap Wörth with its 300 beds, is situated right next to the Wörthersee and offers everything you need for a relaxing and varied holiday: beach, sunbathing lawn, winter and summer sport facilities, park, forest and a lot more… It´s only half an hour distance to skiing and mountain climbing areas in Italy, Slovenia and Austria. 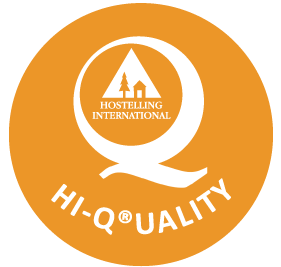 Our hostel for all seasons is ideal for vacation, recreation, summer and winter sports, as well as holding seminars and training courses. 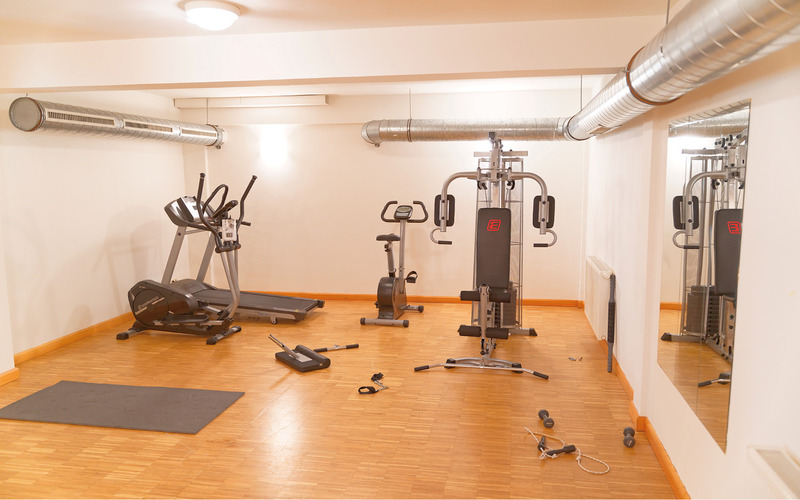 All floors are accessible by lift. 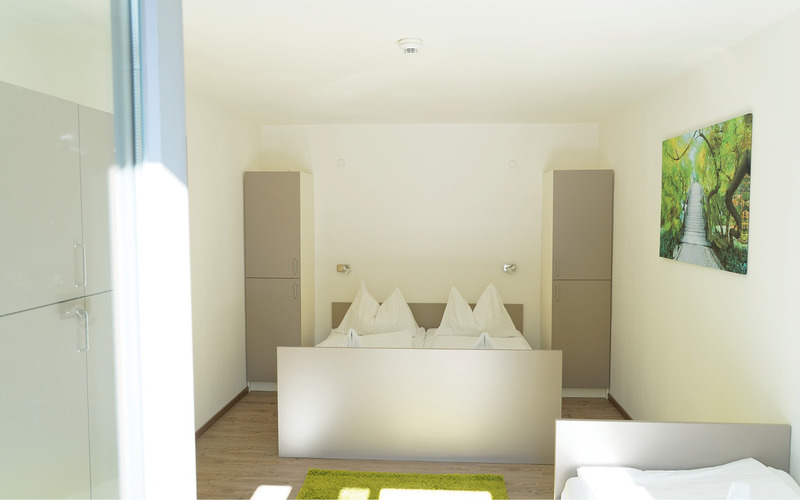 Most of our single, double and 3-6 bed apartments have their own shower, anteroom hall and toilet. 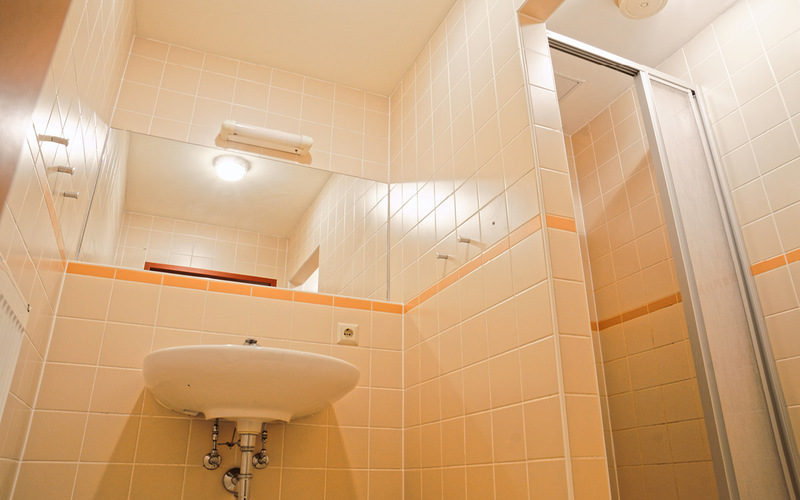 2 room units are designed for handicapped people. 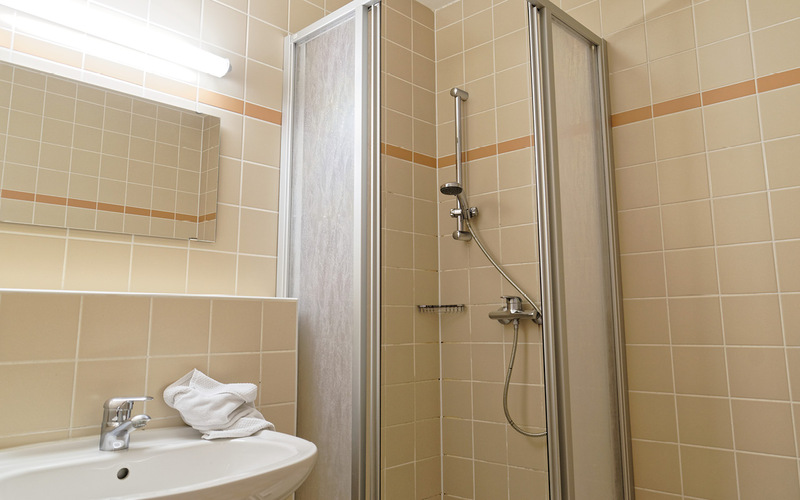 Most of our single, double and 3-6 bed apartments have their own shower, anteroom hall and toilet. 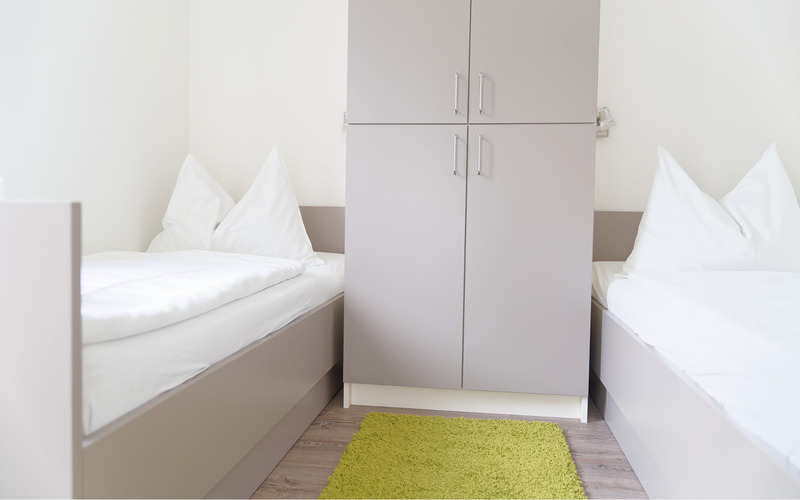 2 room units are designed for handicapped people. 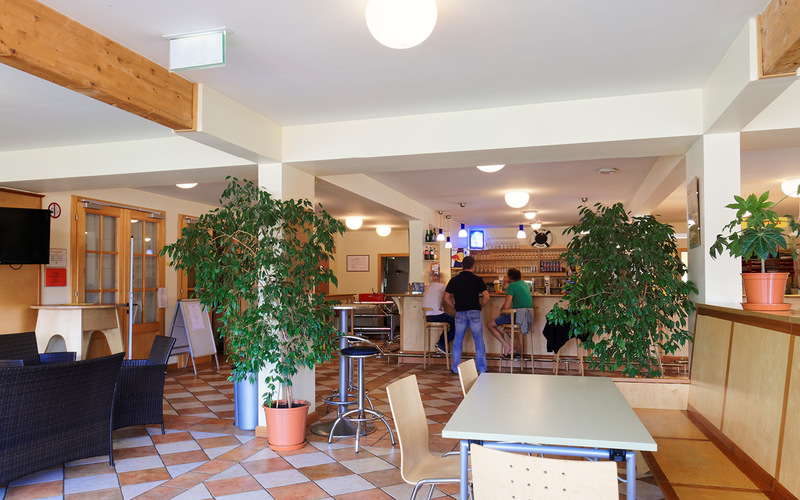 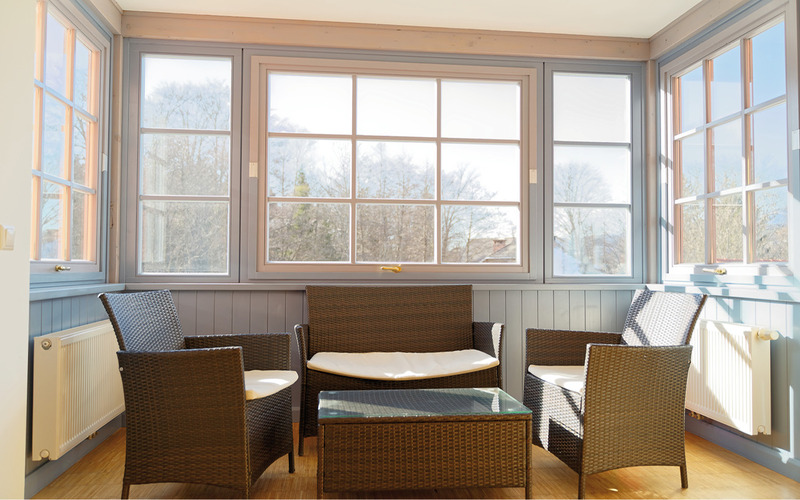 In the basement and ground floor you can find a Café for guests, a pub, sauna, games room, gym, multifunctional common and seminar rooms (for extra charge). 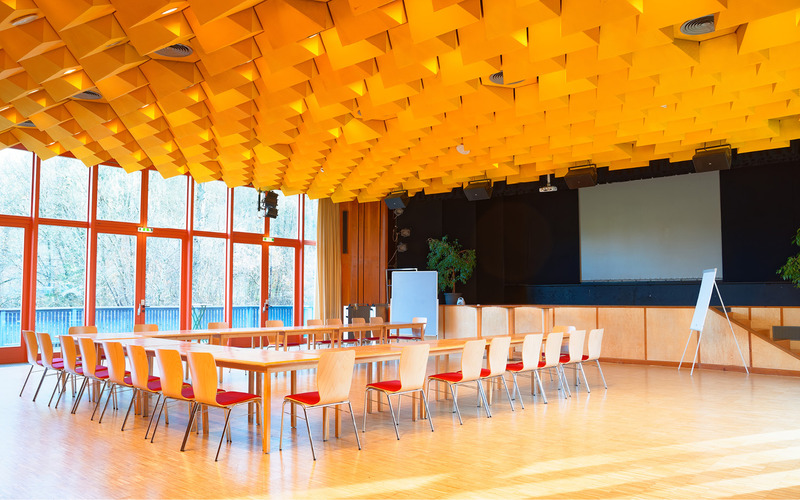 One large hall with stage and theatre equipment completes our wide range of rooms. 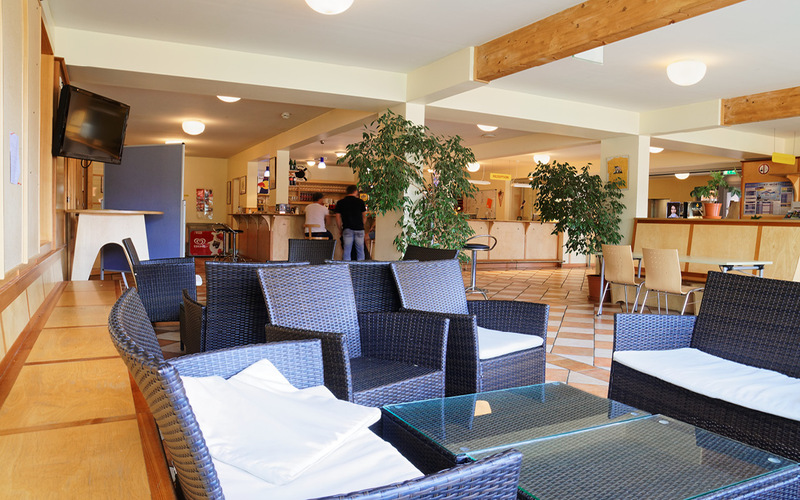 Free WIFI Internet is available to our guests in the lobby. 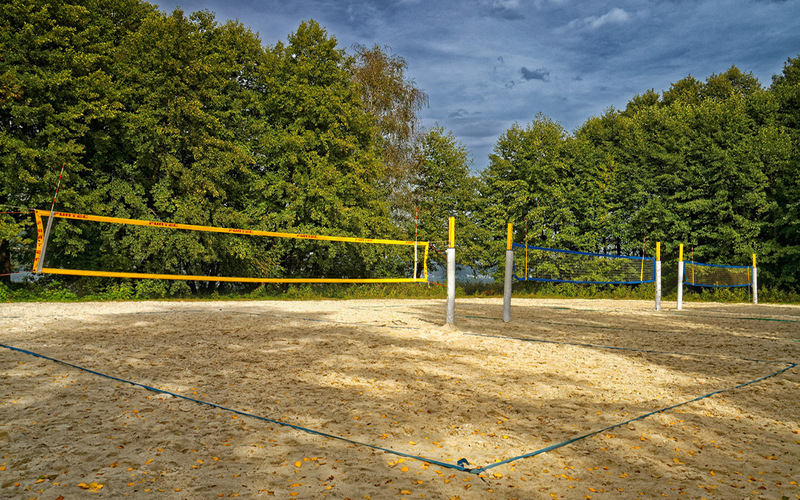 Ball court, soccer field, volleyball court, sun terrace as well as a new children‘s playground are available. 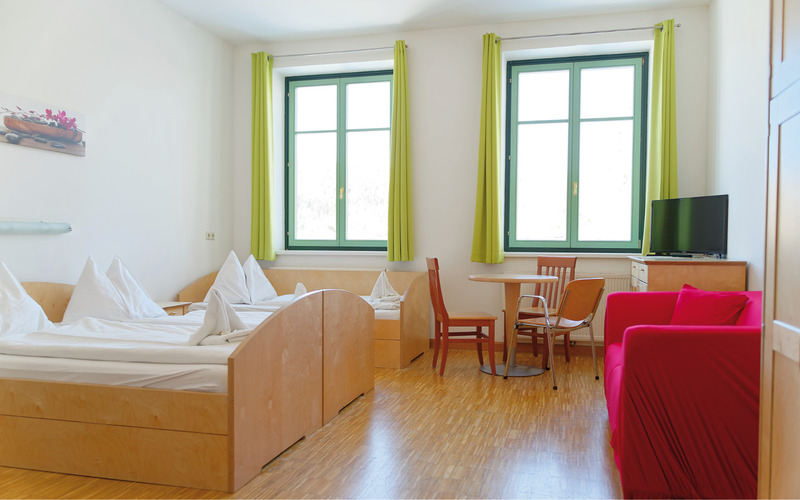 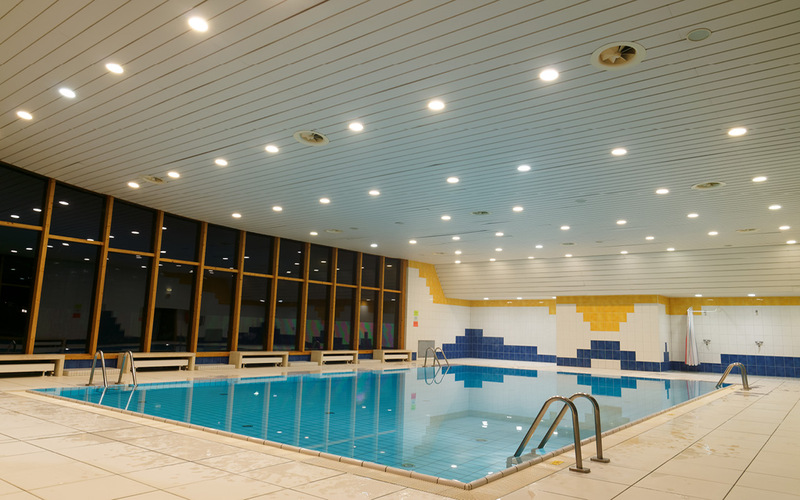 Our hostel´s highlights are the spacious indoor swimming pool and the newly built, barrier-free lake access for wheelchair users. 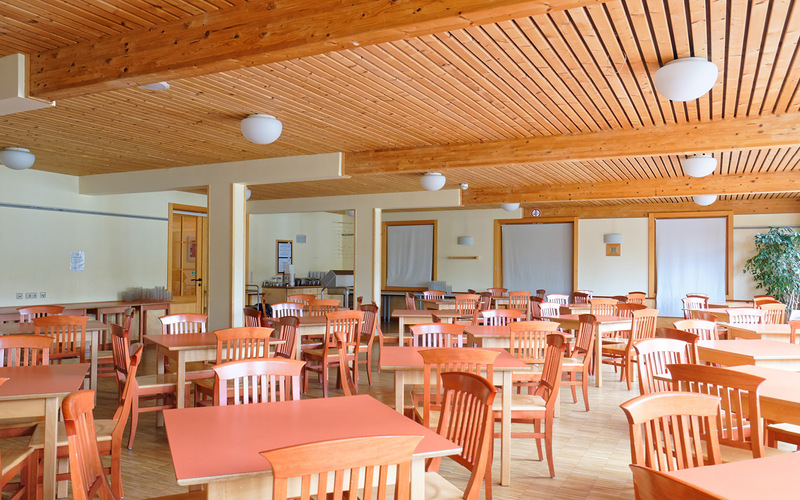 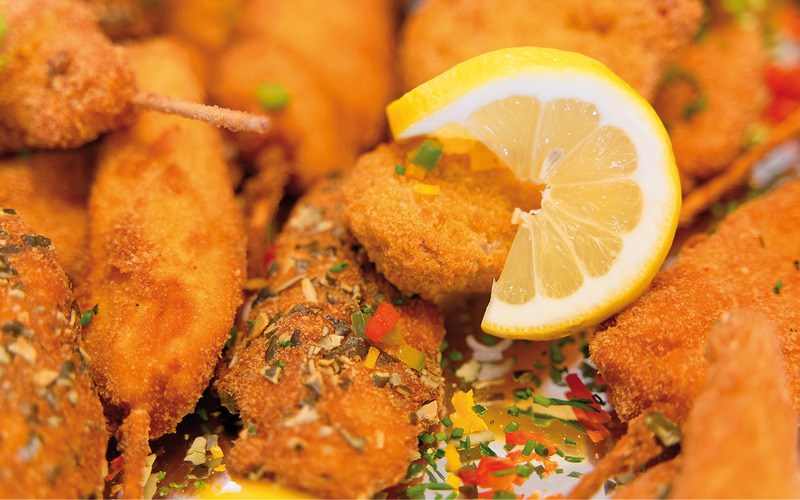 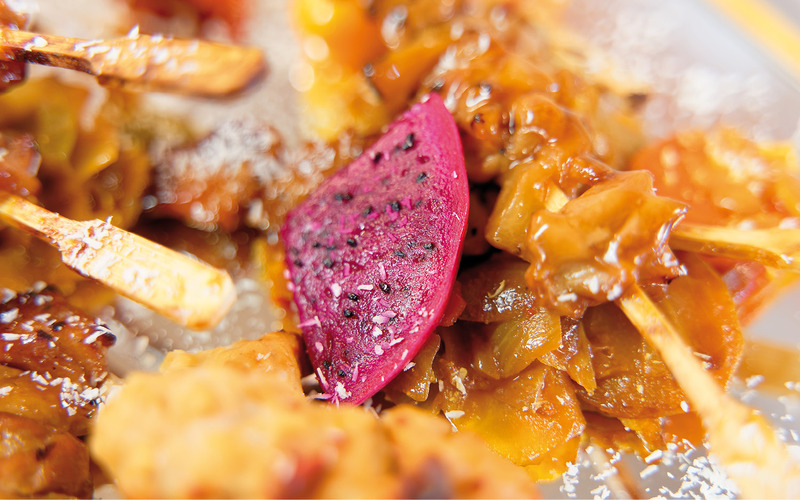 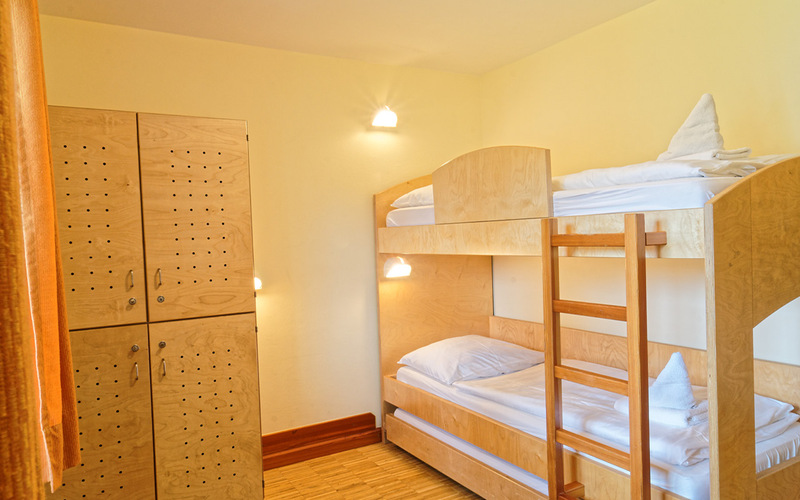 Our hostel offers a rich breakfast buffet and three course lunches and dinners on demand. 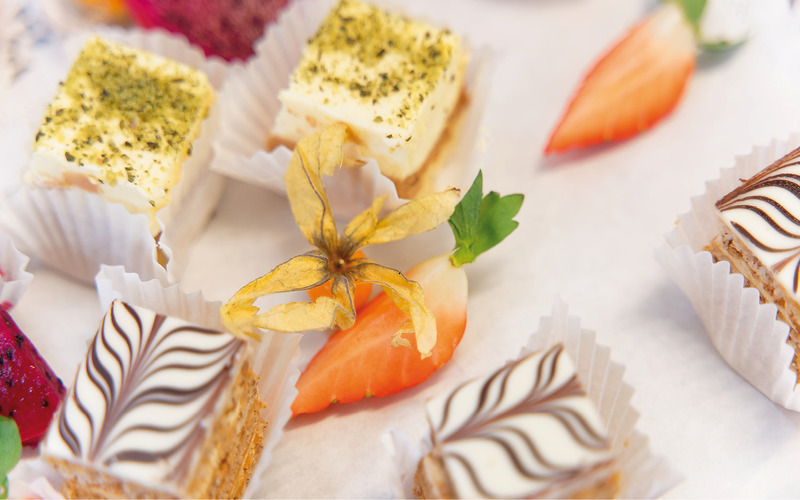 We also offer big or small packed lunch to go and seminar catering on request. 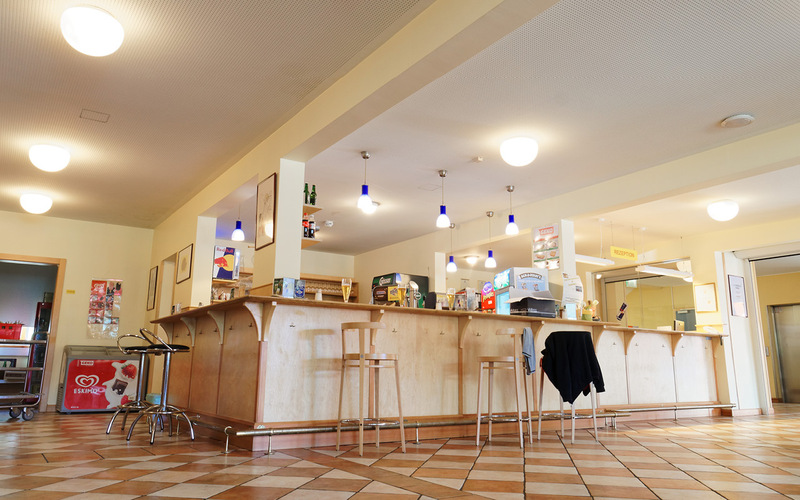 Drinks, hot and cold snacks and small warm dishes, ice cream and coffee are always available. 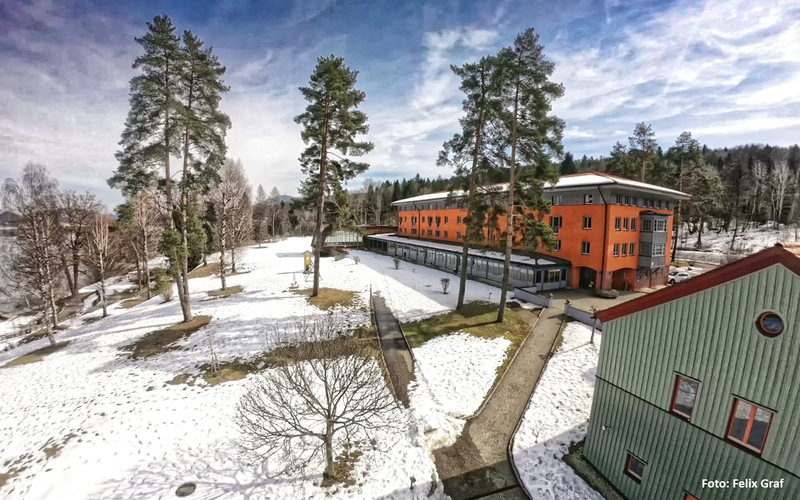 We have our own park place with enough space for buses. 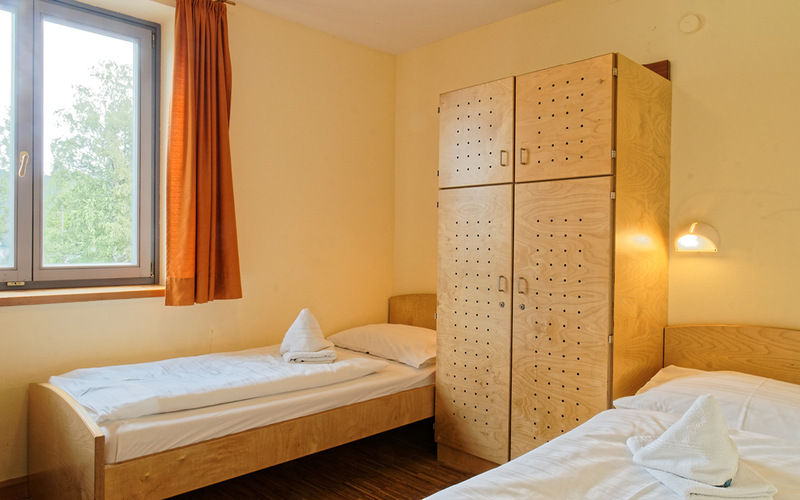 We also offer a bike shelter and in winter a heated room for your ski and ski shoes. 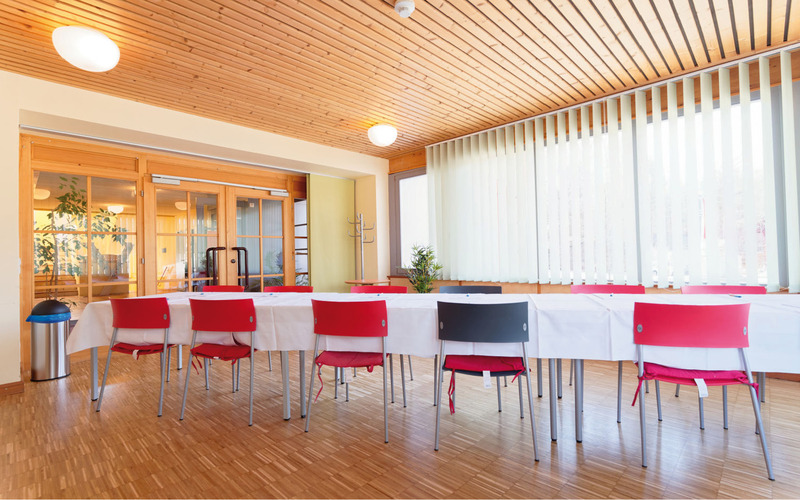 Our team is always helpful in planning programs. 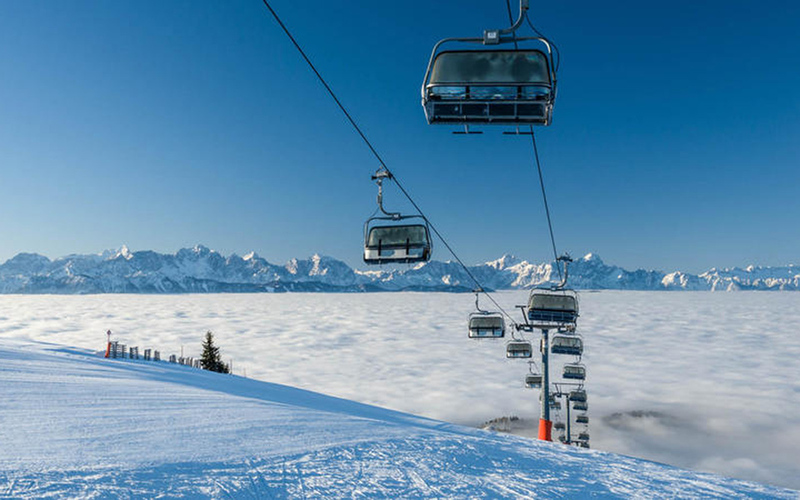 For example, we cooperate with a school sports organizer or organize ski lessons. 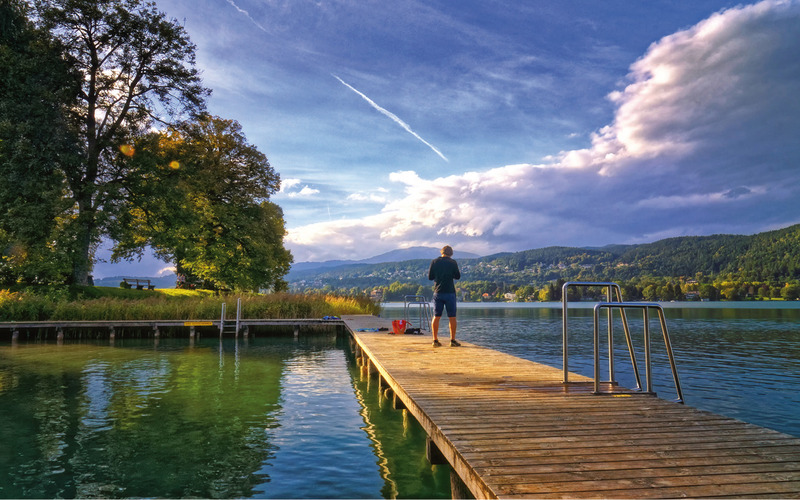 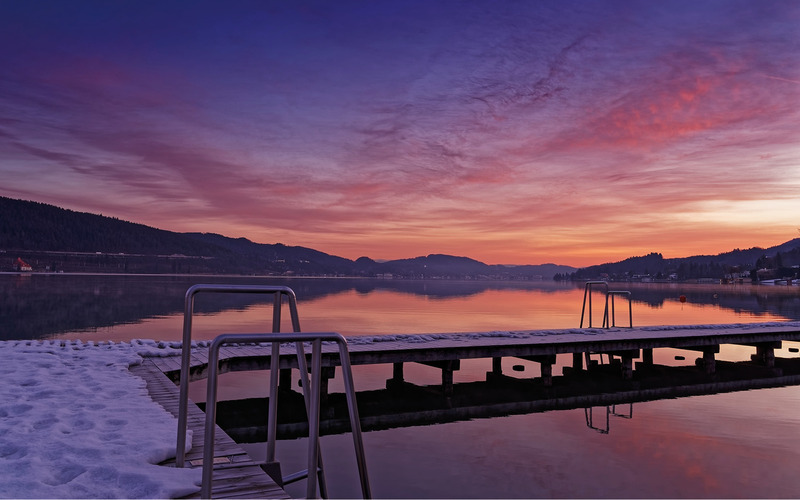 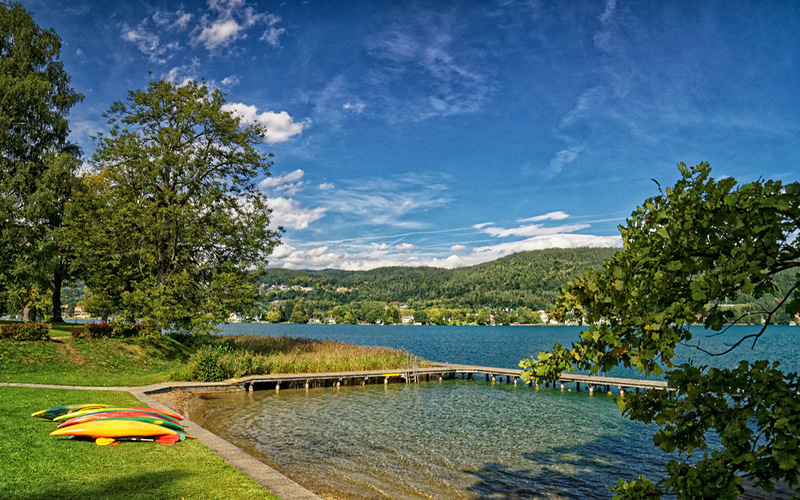 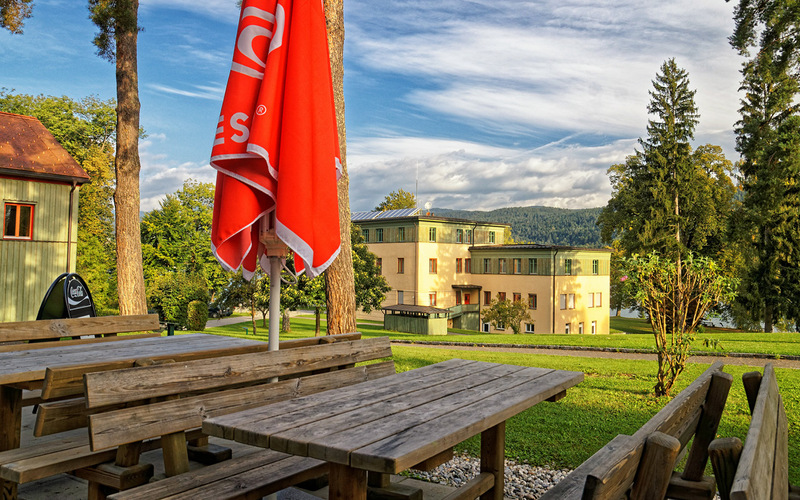 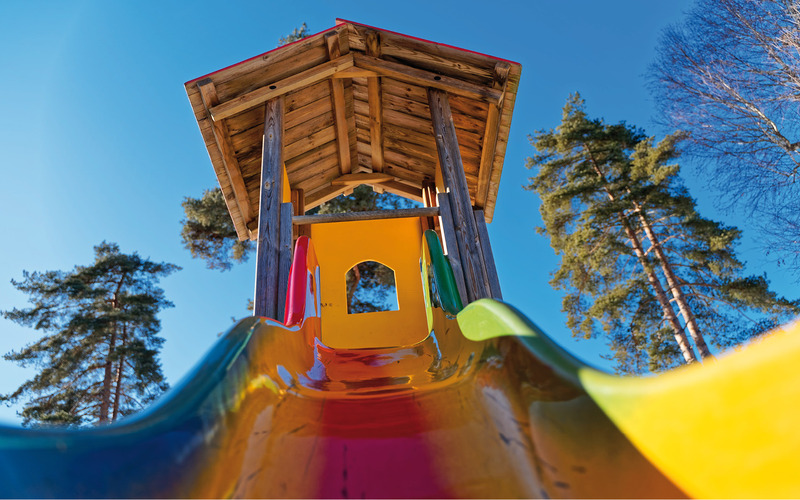 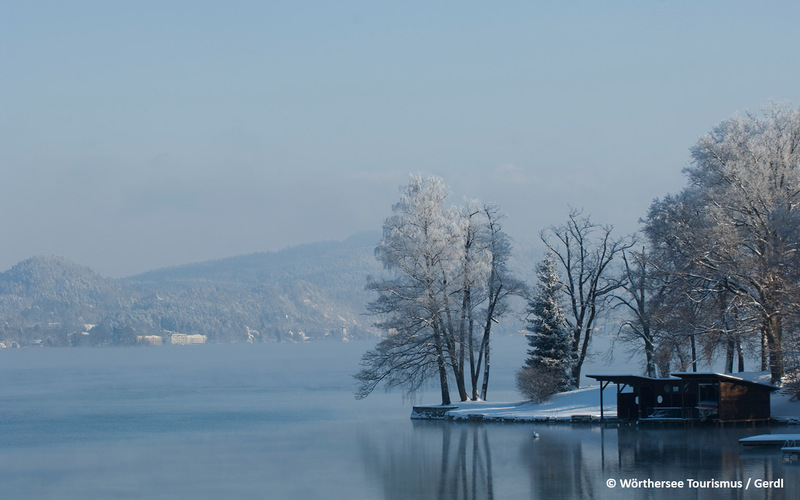 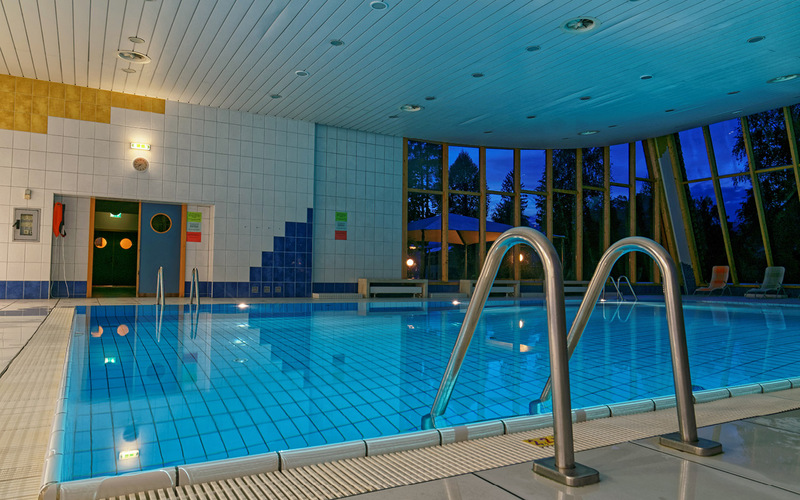 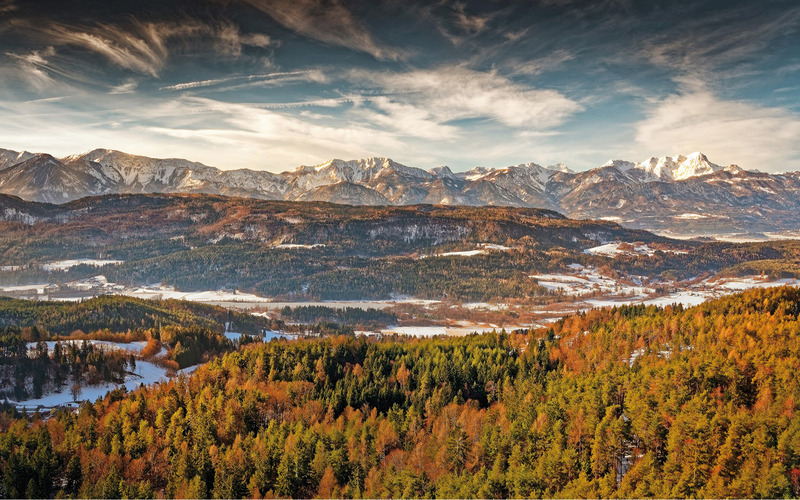 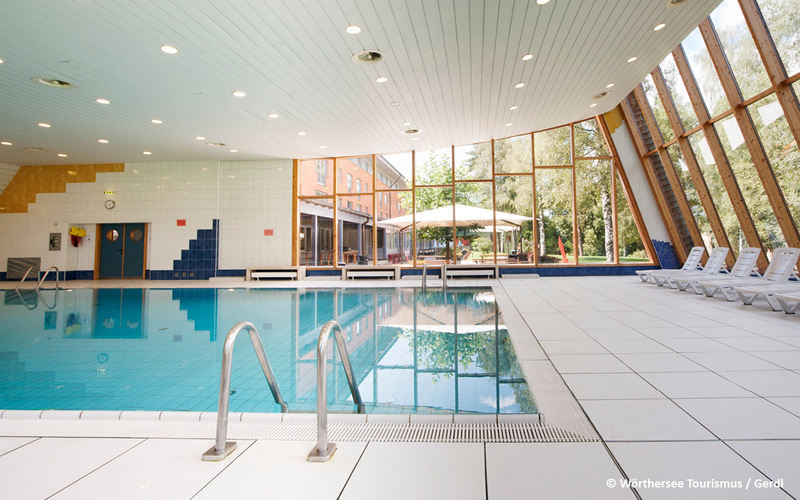 Indoor and outdoor swimming, sailing, sauna, ridding, tennis, ice-skating, fishing, surfing and bowling are only a few of all the activities you can enjoy in Cap Wörth. 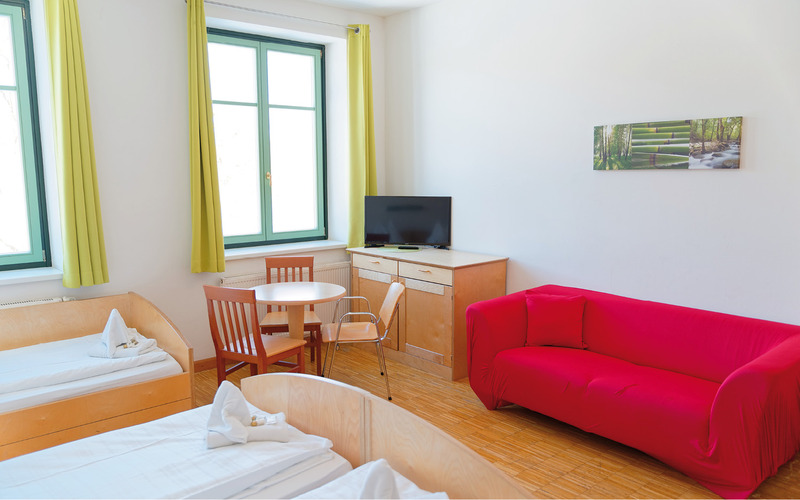 Our team will be glad to help you organize your free time. 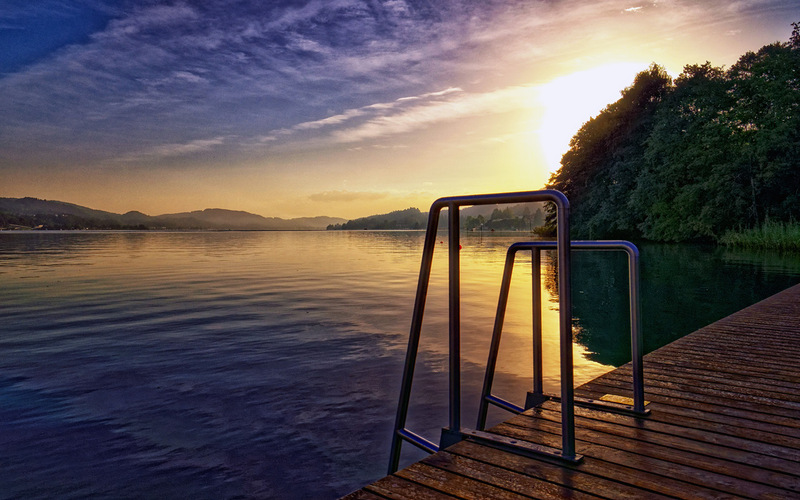 Excl. 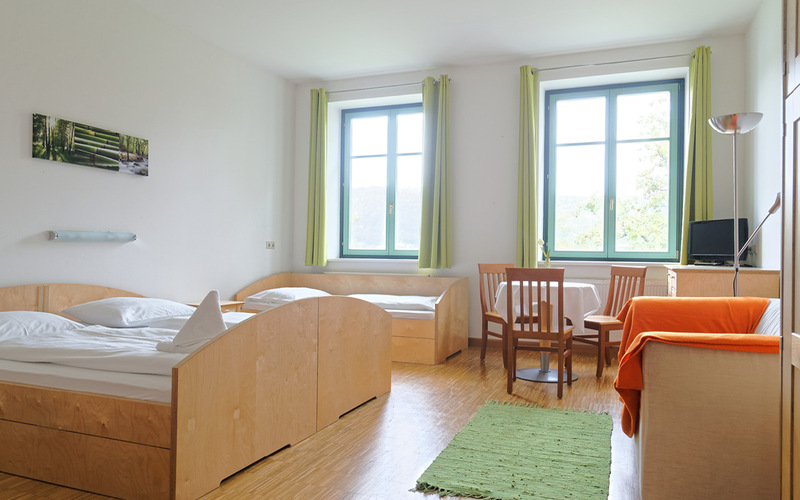 overnigth fee - Accomodation in our youth hostel requires your membership in the International Youth Hostel Association. 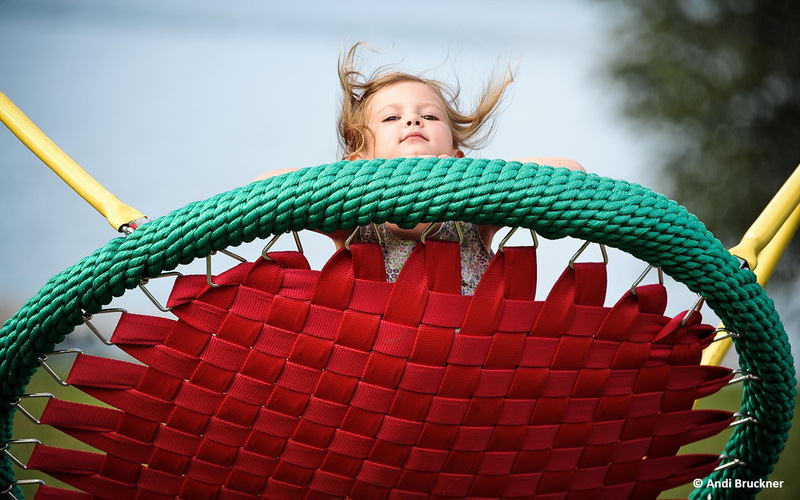 We have no age limitations. 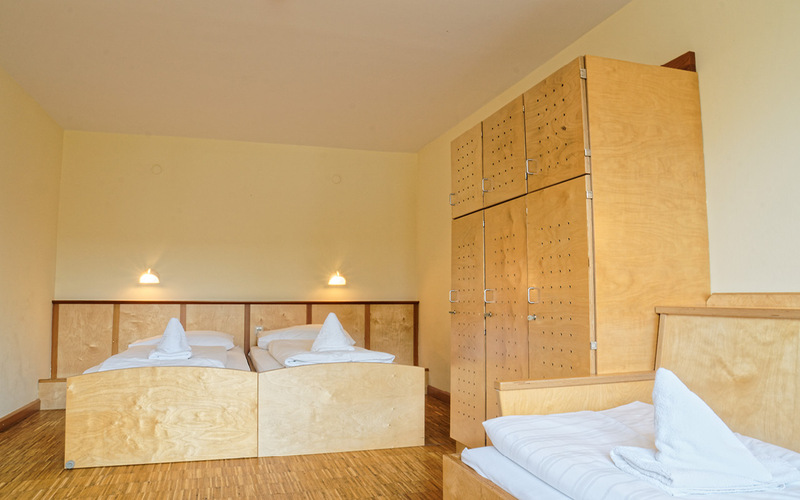 If you don´t have a valid youth hostel membership card, you can buy at our reception "welcome stamps" for € 3,50 per night / person (only for max. 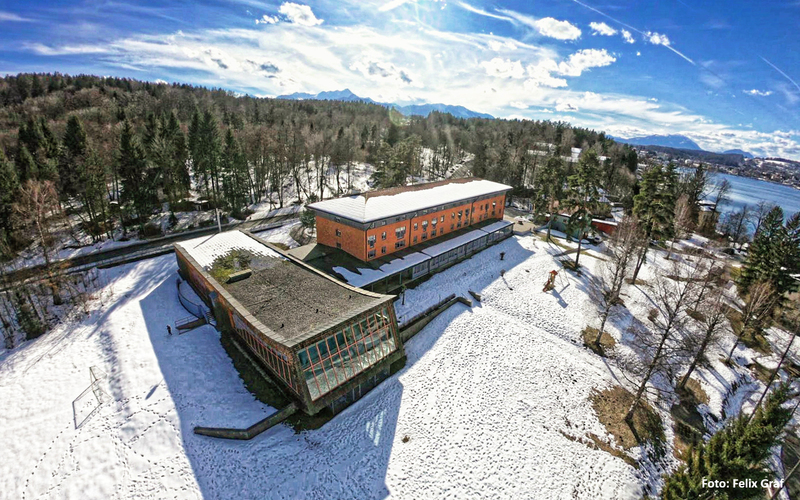 6 nights) and become a member of the International Youth Hostel Federation (IYHF) during your stay with us (membership cards with 6 welcome stamps are valid worldwide for 12 months). 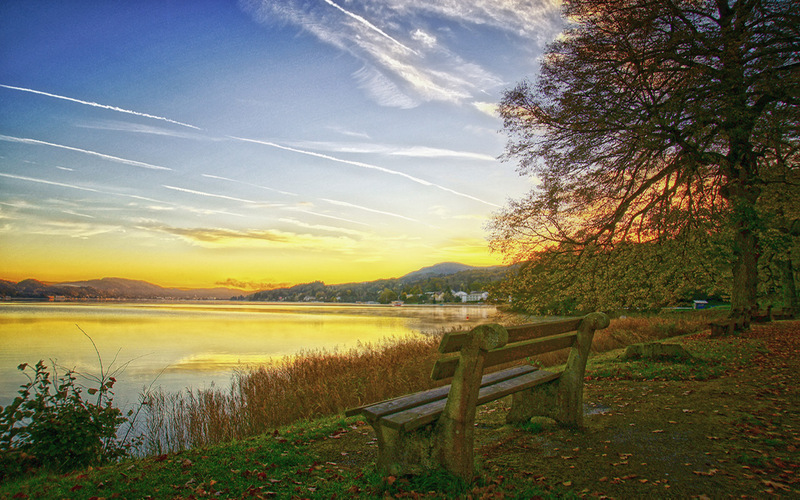 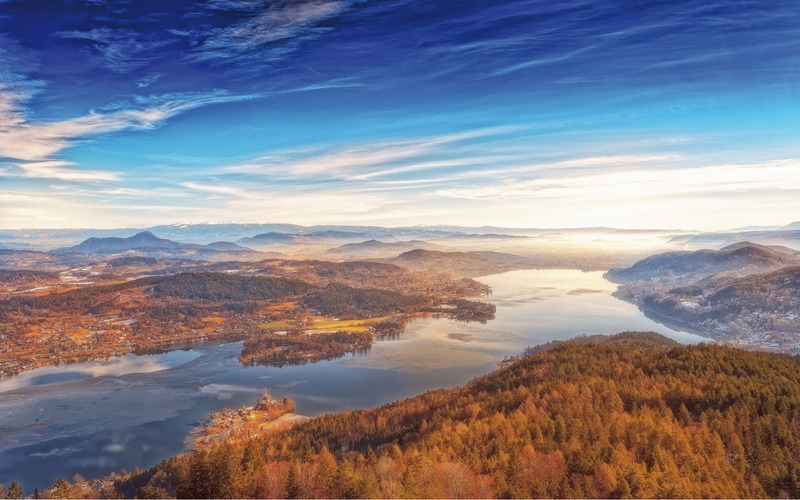 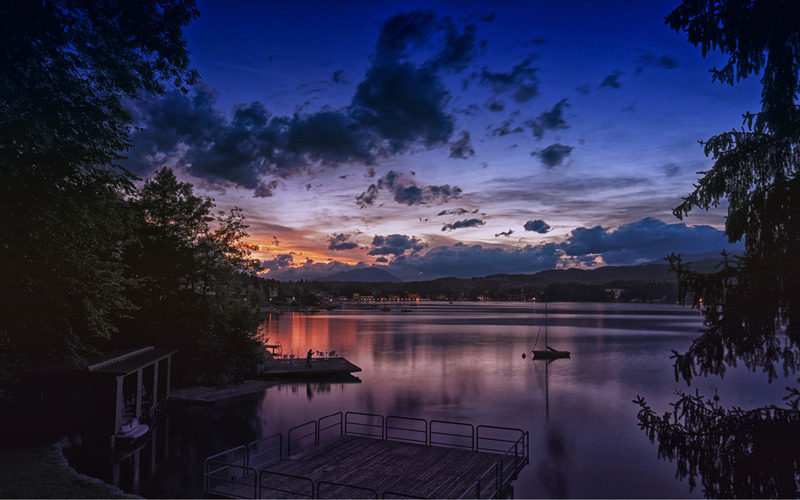 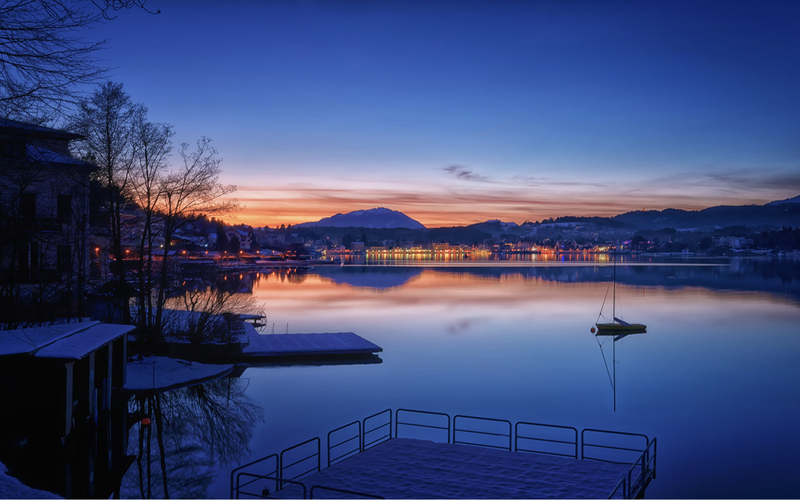 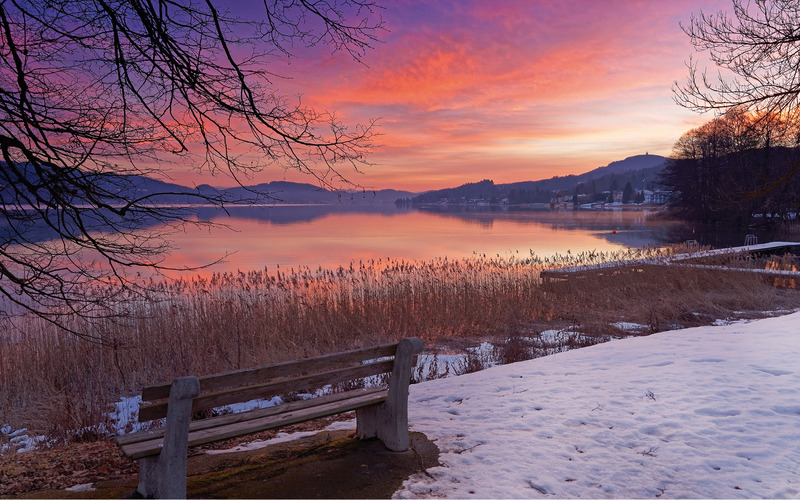 Lake Wörthersee, located in the 3-Corners Region of Austria, Italy and Slovenia, though not Austria’s largest lake, is definitely its most popular. 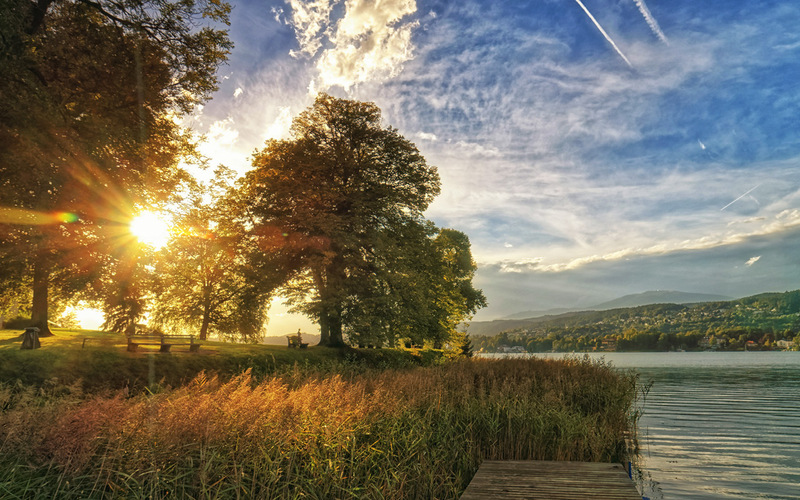 Nestled amidst mountains and hillsides, blessed with an almost Mediterranean climate and a cheerful southern character, it enjoys an almost legendary reputation: for its great events and nightlife, but also for pristine landscapes, peace and relaxation. 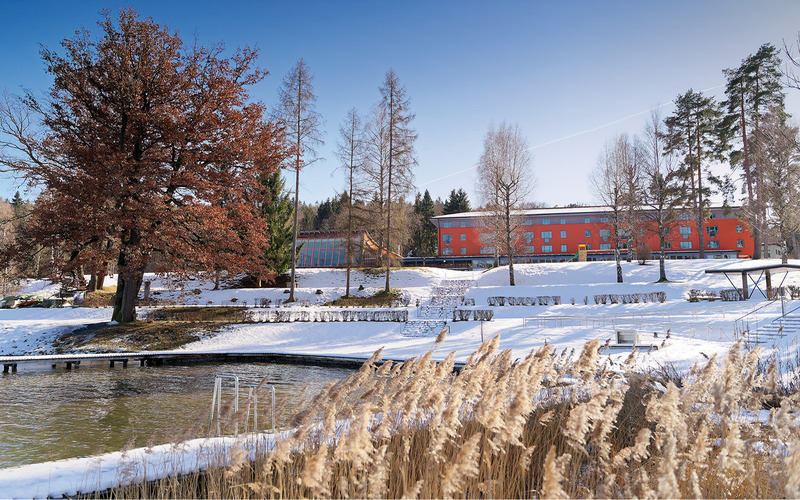 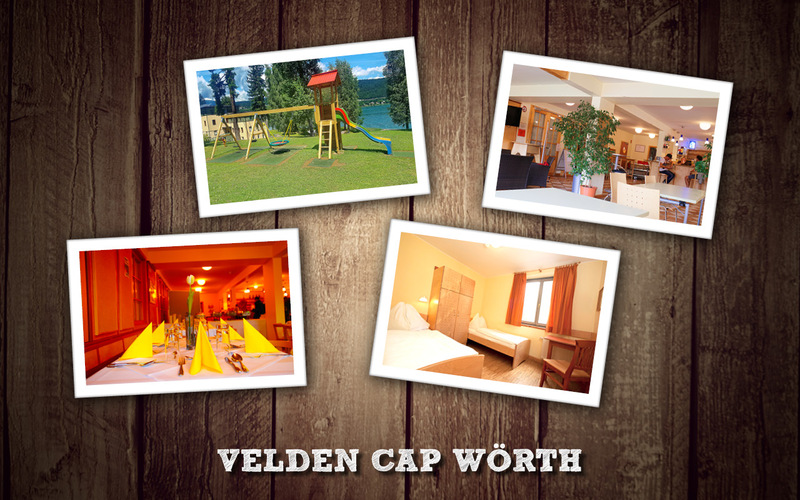 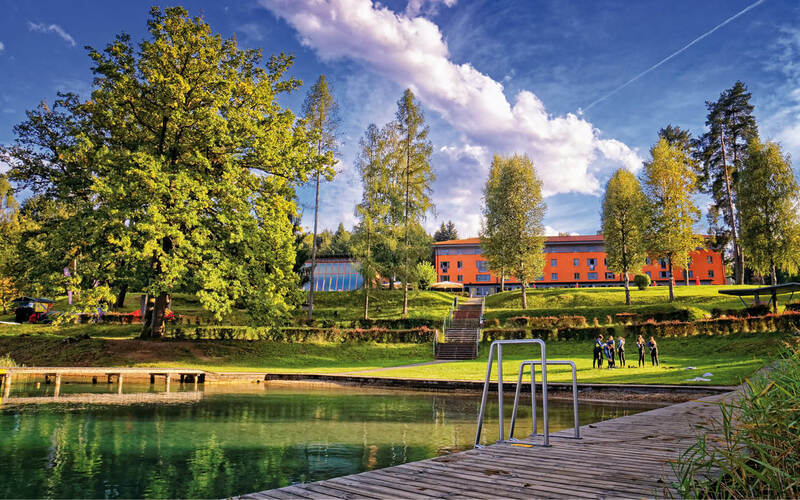 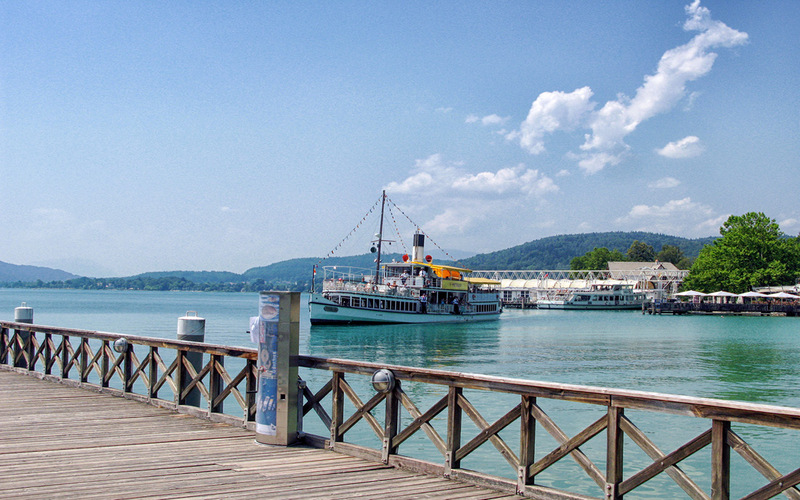 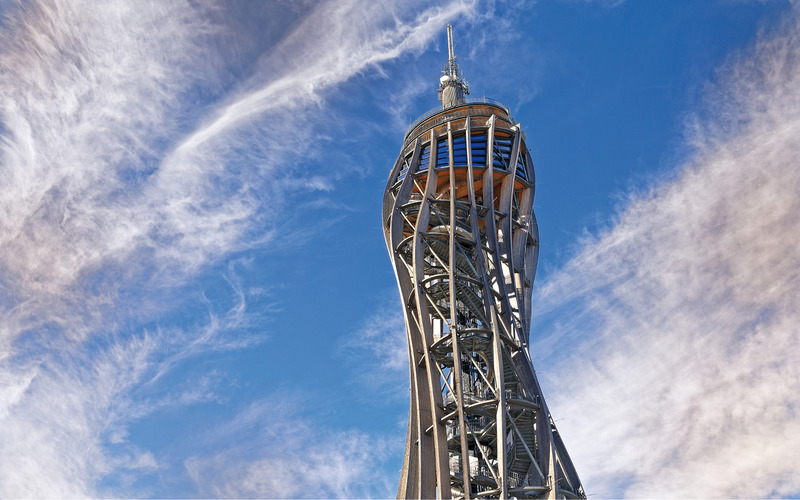 The flair of a casino, romantic, pulsating, traditional... Velden has it all! 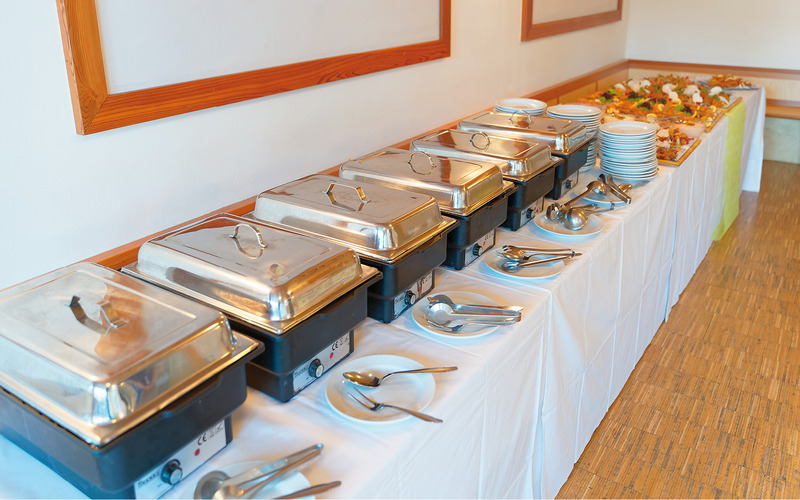 Breakfast included (Buffet) - between 07:30 a.m. und 09:00 a.m.